Member, Board of Directors, Focus on Renewal, McKees Rocks, Pa.
"Literature Professor Volunteers at Orphanage and School in Kenya," Point Park University website, Sept. 19, 2018. "Point Park Hosts Fourth-Grade Students for Poetry Reading," Point Park University website, January 10, 2014. 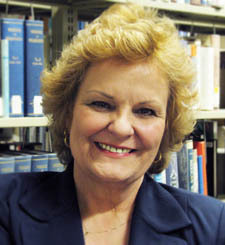 "English Program Director Elected President of Rotary Club of Pittsburgh," Point Park University website, July 26, 2013. "English Program Gave Alumna a Solid Foundation for Law School," Point Park University website, April 10, 2013.